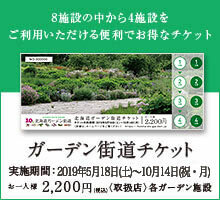 From the 9 month 8 day, no 8 two gardens became regular business without the damage of the earthquake. Although it is the influence of the earthquake occurred in Hokkaido on September 6, there was no garden directly damaged by the earthquake. Although there was the impact of power outage, as of September 8, all 8 gardens became regular business.